When Libby's husband Greg fails to return from a two-week canoe trip to the Canadian wilderness, the authorities soon write off his disappearance as an unhappy husband's escape from an empty marriage and unrewarding career. Their marriage might have survived if their daughter Lacey hadn't died...and if Greg hadn't been responsible. Libby enlists the aid of her wilderness savvy father-in-law and her faith-walking best friend to help her search for clues to her husband's disappearance...if for no other reason than to free her to move on. What the trio discovers in the search upends Libby's presumptions about her husband and rearranges her faith. 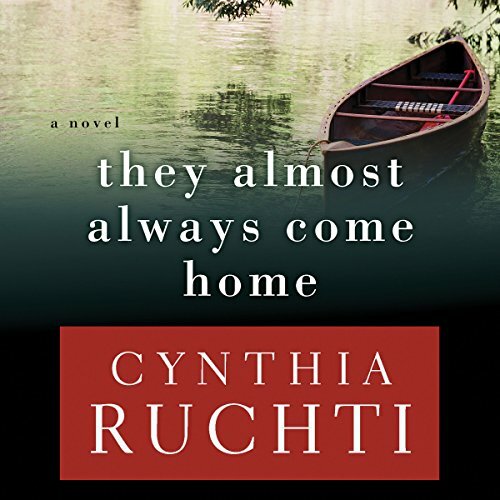 ©2010 Cynthia Ruchti (P)2015 Audible, Inc.
Would you listen to They Almost Always Come Home again? Why? I would definitely listen to They Almost Always Come Home again. Ruchti's intricate characterization made this an excellent audiobook! Ruchti masterfully crafted this story blending the ordinary with the unexpected. As the lives of the main characters are revealed, the listener is compelled to continue. If I could call an audiobook a "page-turner," this would be it. What does Lisa Cordileone bring to the story that you wouldn’t experience if you just read the book? Pleasant narration with appropriate interpretation of Ruchti's characters. Well-done!